Since ancient times, stars on the epaulets are used as insignia of military rank in the army. Interestingly, this applies not only in Russia but also in many other countries (e.g. Georgia, Germany, France). Usually the more stars on the shoulder straps, the older rank of their owner. However, we must consider not only the quantity but also the size and position of the stars. It is important to pin the star on the uniform. Take the shoulder straps and stars. Usually, the star to the shoulder strap not sewn in the truest sense of the word, and attached by piercing a hole in the correct location on each pursuit. In order to pierce a neat hole, use an awl. Then insert the star into the resulting hole and secure. To do is firmly attach the star with special "feet". Check that the star was firmly attached and not loose. Please note that the distance between the stars is strictly regulated. On the epaulets of the second Lieutenant and major, you need to retreat 45 mm from the lower edge of the ring to the center of the first sprocket. 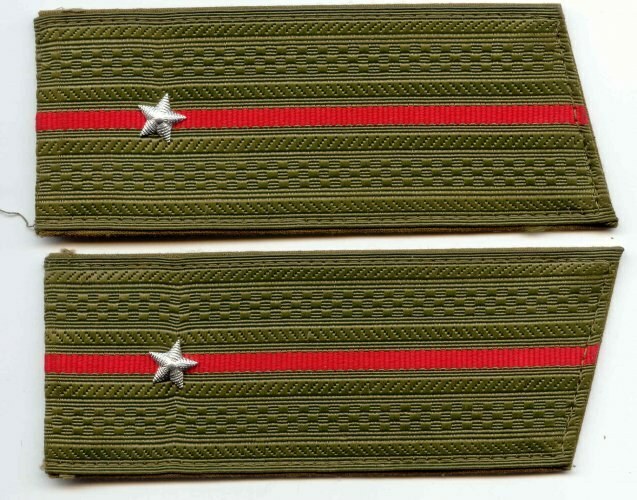 On the shoulder straps of Lieutenant, senior Lieutenant, captain, Lieutenant Colonel and Colonel of the first star is attached at a distance of 30 mm from the bottom edge. Attach the second and subsequent stars, if necessary. Note, however, that the distance between the centers of the stars along the shoulder strap at the senior lieutenants, captains and colonels is 25 mm. Do not miss out of sight the required number of stars on each race. So, on the epaulets of the second Lieutenant only 1 star, Lieutenant, you can observe 2 stars, senior Lieutenant – 3 captain epaulettes decorated with 4 stars. On the shoulder straps of major, Lieutenant Colonel and Colonel are attached the stars of a larger size. Their number increases according to the rank is one, two or three stars. Please note that this article describes the procedure for placing the stars on the uniform of military servicemen, according to the order № 255 from 28.05.1994 G. This order is not contrary to the Appendix №3 to the decree of the President of the Russian Federation of 11 March 2010 №293. Be aware that the material of the straps, tight enough, so no problems with the puncture, use a well-sharpened awl. Do not forget also about the size of stars. Diameter of large metal stars senior officers is 20mm, and the diameter of the small metal stars Junior officers – 13 mm.